Why don't people heal? Why do they stay wounded--some even driven to suicide by their pain-despite the best that organic and psychological medicine can offer? To find the answers, Russian--born psychiatrist Olga Kharitidi traveled to exotic Samarkand, a major cultural and spiritual crossroads, and ancient capital of Uzbekistan, in the heart of Central Asia. No stranger to mystical and shamanic experiences, Dr. Kharitidi had already immersed herself in Siberian native traditions of seeing and healing. Now, at the invitation of an emissary from an ancient secret brotherhood, Dr. Kharitidi set out to learn firsthand the secrets of healing deep emotional wounds. As she quickly discovered, to master these methods she would first have to heal herself. Under the tutelage of the mysterious and charismatic Michael, the master of lucid dreams and protector of esoteric teachings first given millennia ago, Dr. Kharitidi entered another world altogether. There, she saw how our deepest emotional traumas are held in place by baleful spirits and can only be overcome by the technique of dreaming while awake. 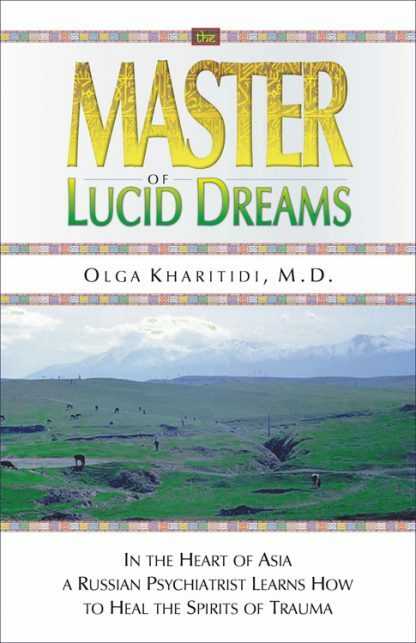 A major contribution to experiential psychology and a vivid revelation of little-known ancient teachings, The Master of Lucid Dreams describes a startlingly different and effective approach to inner healing. Olga Kharitidi is a Russian doctor and psychiatrist currently living and working in the U.S. She was born in Siberia and worked for some years in a Soviet mental hospital. Her orthodox views of health, and indeed of reality, were challenged by her unlooked-for experiences with the living traditions she met in the snowbound Altai Mountains of Siberia. Later she found herself in Samarkand, meeting people and undergoing experiences that reinforced her sense of an ancient and hidden knowledge of healing, that it might be possible to bring out into the open, if it could be done in the right way.